Adventure seekers have been attracted to Los Cabos for years. 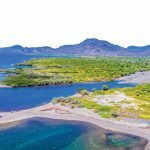 Challenged by the mountain trails, the hostility of the desert and the expansive Sea of Cortez, adventurers have sought to conquer this land and be an inspiration for others. Joyce Langridge, triathlete positioned as the number 1 in the World (in the female 60 to 64 age group) after her 1st place finish in Ironman Canada in July 2016, which she won by over 25 minutes. She then went on to finish out 2016 in the top 1% in the world in her age group of 522 women. She finds in this destination a paradise to train in. As a full-time mother, Joyce enters her sports career at the age of 45, when her children could attend to their after-school activities on their own. Competing at her Best Level in each race is a challenge Joyce is passionate about and trains hard to achieve. “I wanted to be a role model for my children. With all the free time I had now, I devoted myself to my health and fitness. I competed in several 10 Km races, then half marathons, then full marathons, with the sport becoming a more and more addictive passion. I had seen the Ironman competition in Canada, and when registration opened the following morning, I signed up. I decided to take it as a personal challenge, it was a little crazy as I could not swim! Joyce is a person who is totally committed to everything she undertakes. This virtue helped her to conquer one of the biggest challenges of her career, learning to swim at age 50. As part of preparing for a competition, Joyce exercises six days a week. Her training consists of swimming three times a week, 9,000 – 10,000 meters, twice a group of swimmers and once on her own. She runs three times a week for long distances and repetitions in intervals, and cycles long and short distances per week. Joyce has participated in several marathons including Boston, New York, Vancouver, Athens and Tokyo. 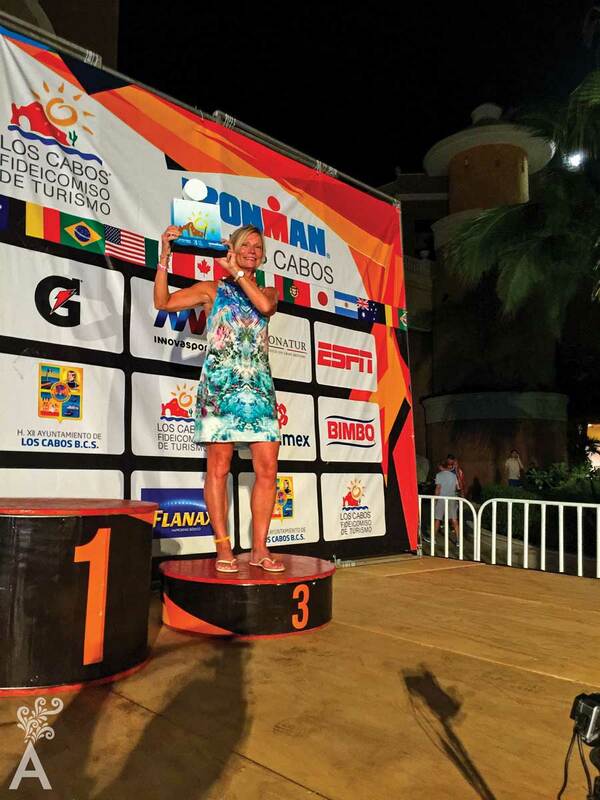 She finished 9 full Ironmans, including Pencticton, British Columbia, Canada, Whistler, British Columbia, Canada and twice finished the Ironman in Los Cabos. After eight successful finishes, she qualified to compete in The World Championship Ironman in Kona, Hawaii, which she completed in October 2016. “The best thing about Los Cabos is the weather, it’s always beautiful. I love the heat and the scenery is spectacular, with mountains that merge with the desert and dunes that discover a sea. It’s amazing! And the people, are very kind and welcoming”. 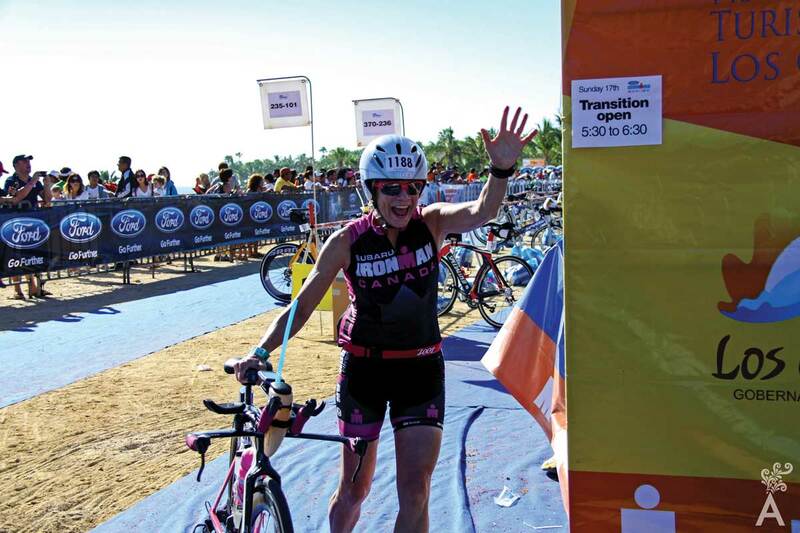 In 2015, she competed and finished the 60 Kilometer Grand Fondo bicycle race in Los Cabos and this spring, 2017 she finished the La Paz Olympic Distance Triathlon, coming 1st in her age group by 20 minutes.